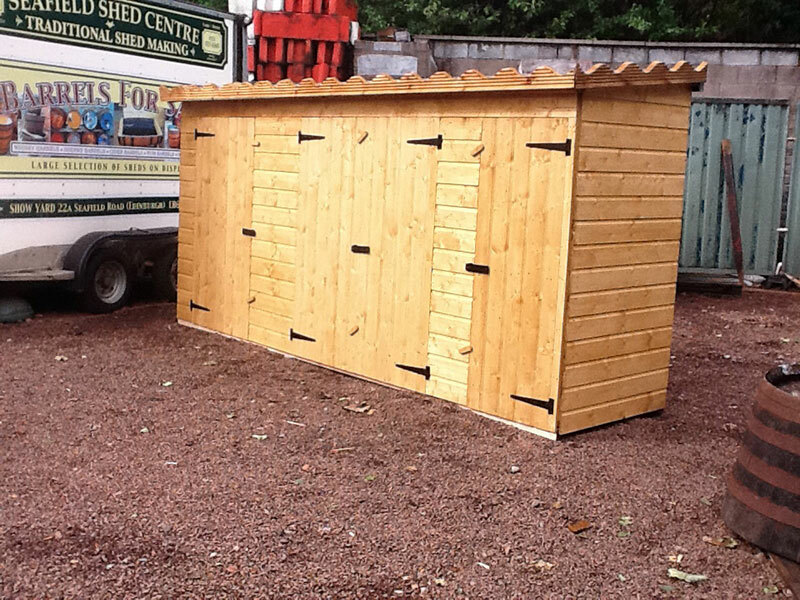 We are traditional shed manufacturers based in Edinburgh. 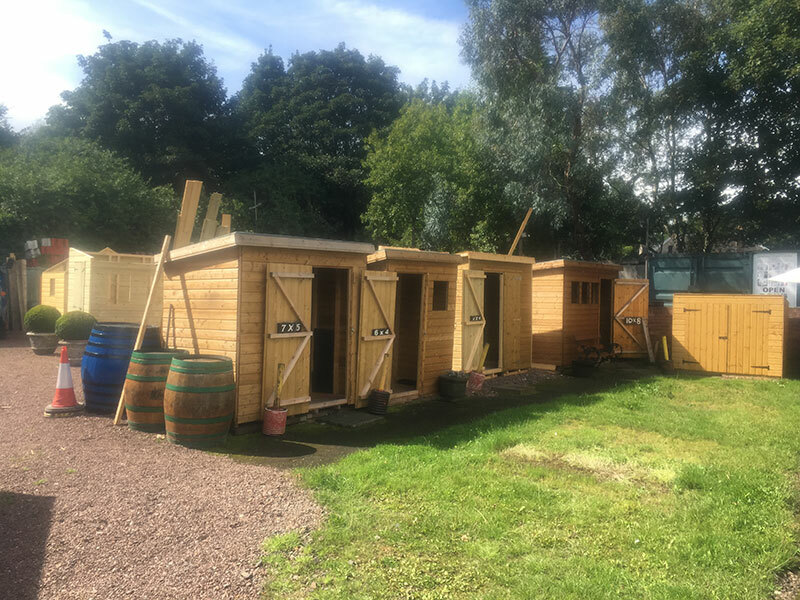 We have our own factory in Fife, Scotland. 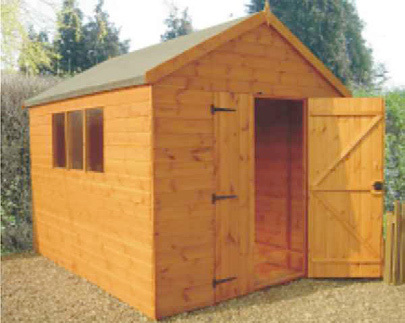 All products in our garden shed range are made from sustainable, locally-sourced Scottish Fir. 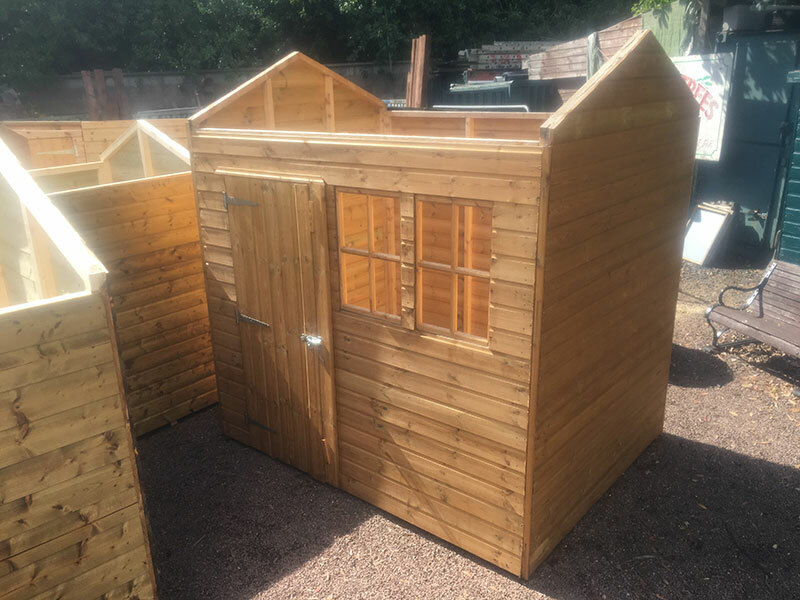 We pride ourselves on the quality of our product; using pressure-treated, tantalised wood to provide protection against weathering and using 2″ x 2″ framing as a minimum on all our products. 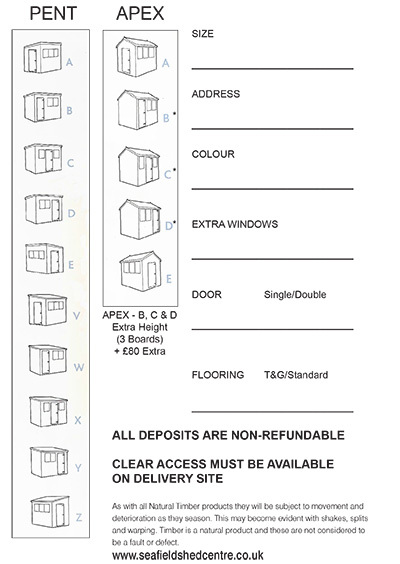 Select from one of our Standard or Premier range or use our custom design form opposite to request a price for your own design. 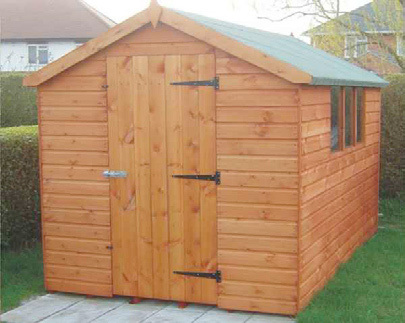 Prices include 12mm Weatherboard, Delivery and Assembly in Edinburgh. 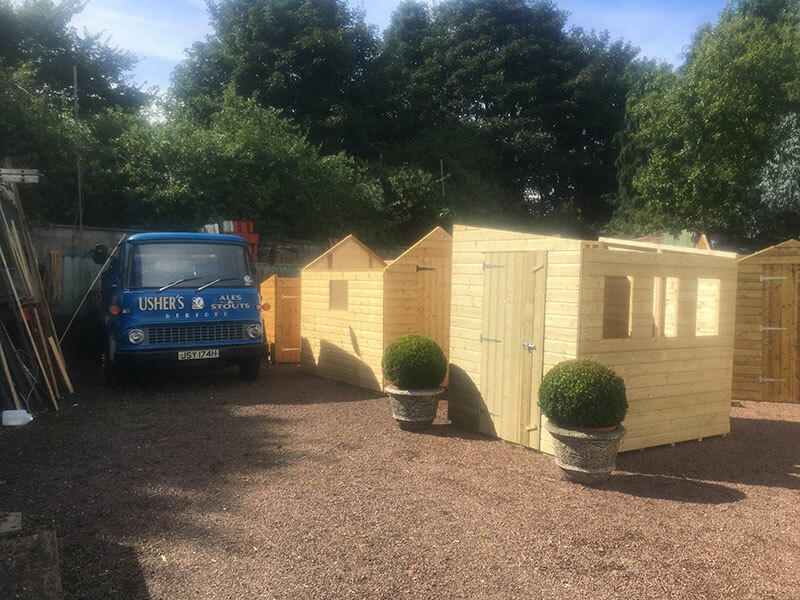 We do all fencing work, agricultural, gates, posts, all gardening labouring work, paving, slabbling, mono block, turfing, wall re-pointed. 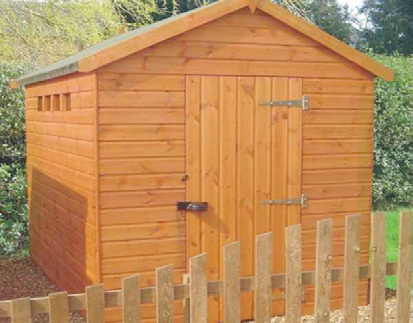 We also re-felt garden shed roofs, garages, flat roofs etc. 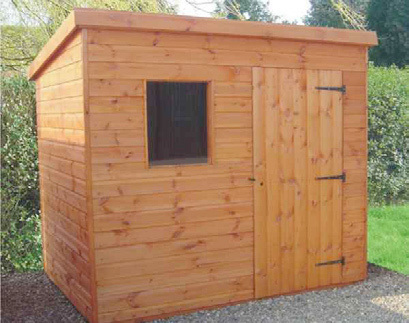 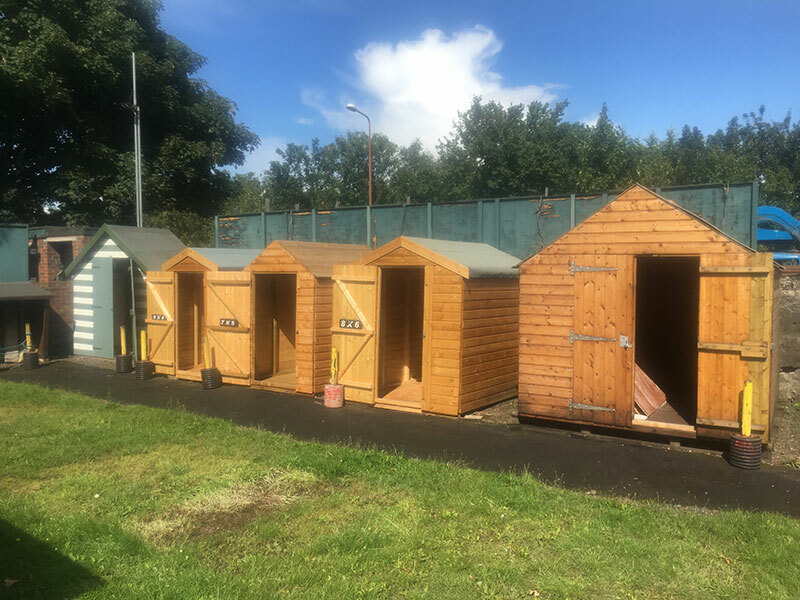 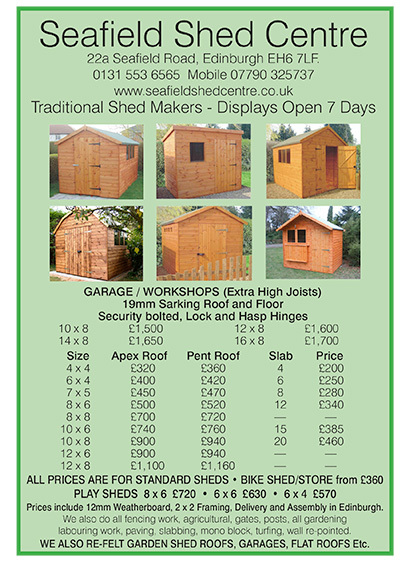 For more information and advice on our range of sheds please contact us.